Good looking ’tillable’ wood textures are often hard to come by, and that too if they are needed to be suitable for a particular job. The usual way is to modify the image(photograph) based textures, but in most cases they are not up to the mark. As photographs mostly come with lighting distortions, which, unfortunately, make them unusable or unattractive for tillable textures. Such textures can be corrected for lighting distortions by manipulating them using a technique called Highpass filtering. I will write about it in next tutorial that’s right!! instead of image manipulation we will go my way and created the texture from scratch. In this case, we will create a Mahogany wood texture. Step1 You can choose your own resolution as usual, but here I have chosen 512×512. First off we will create bands for the wood. Go to Filters>> Render>> Clouds>> Solid Noise. To get bands(vertical here) increase the ‘X size’ to 16 and reduce the ‘Y size’ to 0.6. You can copy the random seed value or choosing the value of your own. Image 1. Generating the wood patterns. Step2 Next step create a new layer, rename it to Mahogany color. 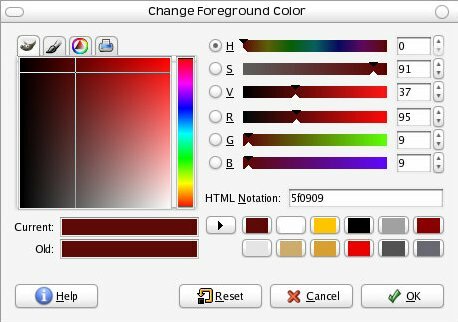 Select the color #5f0909 from the color picker. And fill the new layer with this color. Change the layer mode to Multiply. This gives us the very basic texture. Image 2. The Mahogany color. Step3 You would have noticed that right now the texture have very subtle color radiations. We will increase the saturation so that they are more visible. 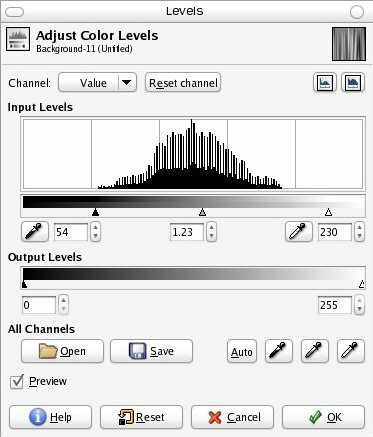 Select the bands layer and press Layer>> Color>> Levels. 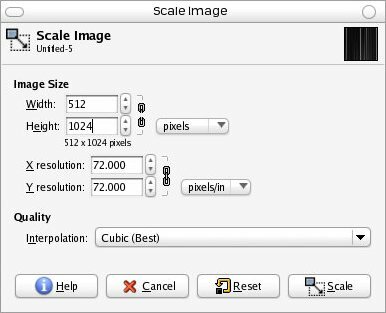 Either copy the values from the image3 or make sure the ‘Preview’ is checked and modify the black and white level until you are satisfied. Image 4. Applying noise on banding. Step4 The bands are too plain to be convincing. We will make them a bit dirty. 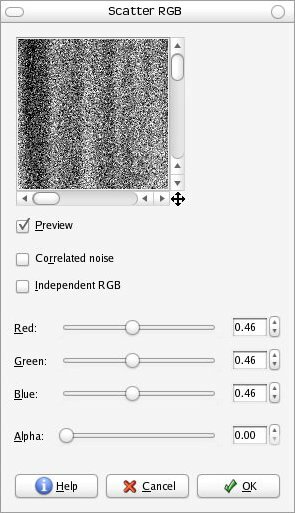 Go to Filters>> Noise>> ScatterRGB, un-check the independent RGB and increase the value to 0.46. 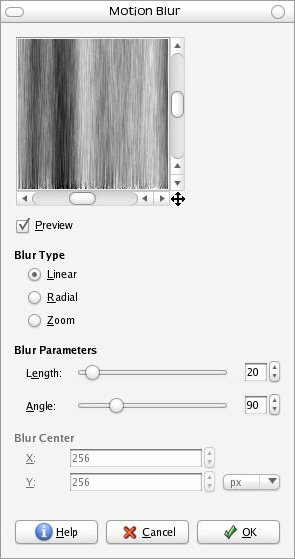 The independent RGB created colored noise while unchecked one gives black and white noise and that what we need, you can use that also and after applying use Layer>> Color>> Desaturate for approximately same effect. Step5 The noise addition destroys the plainness but is too coarse to be usable. We will not apply motion blur vertically. Go to Filers>> Blur>> Motion blur. Change the length value to 20 and angle to 90 press OK button to apply. The noise patterns will get washed vertically creating interesting patterns in the bland wooden bands and the over result is much better in comparison to the plain bands we created in step1. But is still lacks the chaotic variation of the natural wood. Image 5. Applying Motion blur. Step6 We just need to get distortion in the regular vertical bands. Go to Filters>> Distort>> Iwrap. and there yo can change the distortions by moving the mouse over the small preview and using the three options, grow, move and scale so that you get somewhat like in the image8. The image 6 is before distorting. Image 7. After manual distortion. Step7 The wood now looks much realistic. The whiteness of the bands is sharper and will be noticeable during tiling. We will add one more differed, but brute banding to get more balanced texture. Create new image just double the size you chose for the texture. 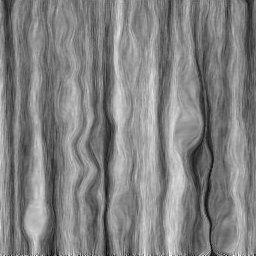 Create new band pattern by going to Filters>> Render>> Clouds>> Solid Noise. 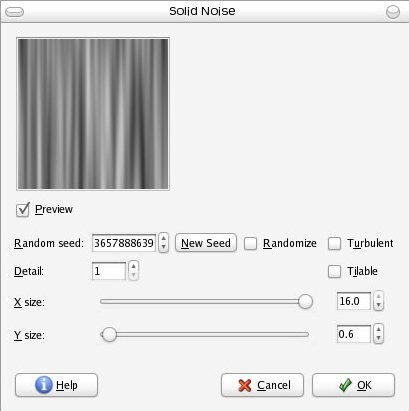 Enable Turbulent and choose some pattern seed or copy from the image8 below. Image 8. Hard banding for a new image. 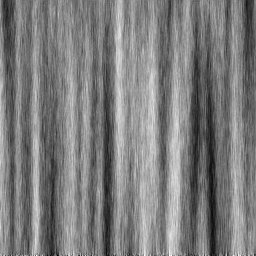 Step8 We want more banding lines in our texture and the ‘Solid Noise’ tool does not give much control over this feature so we will compress the new image to half in width only and leave the height intact. Then select all (Ctrl+A) and copy the new texture. Image 9. Compressing the image width. Step9 Paste the copied texture in the older as a new layer on top of all. Now go to Layer>> color>> Invert to invert the new layer. change the Layer mode to ‘Burn’ and bring the opacity down to 20. There you have it the Mahogany tile texture. Step10 The texture although complete is not perfect until its tillable. Save the Image copy now and flatten the image now use ‘Ctrl+Shift+O’ and change the offset to 256 in both X and Y. Start editing the texture using the clone and smudge tool until you deem necessary. Image 11. The seam problems in the middle. Image 12. 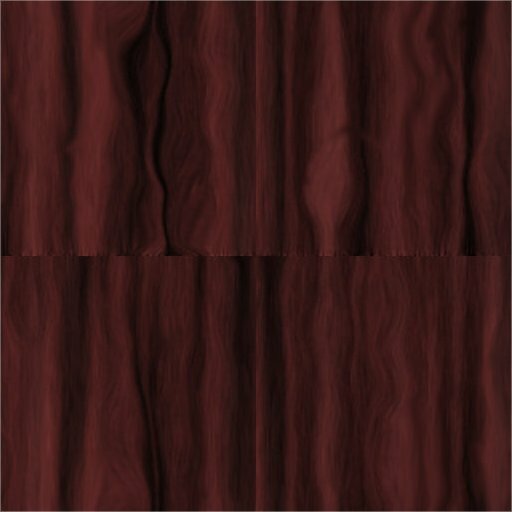 Tillable Mahogany wood texture. 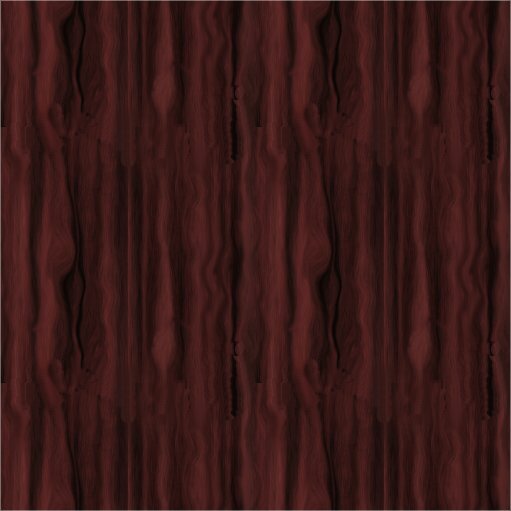 This finishes the tileable wood texture tutorial in gimp.